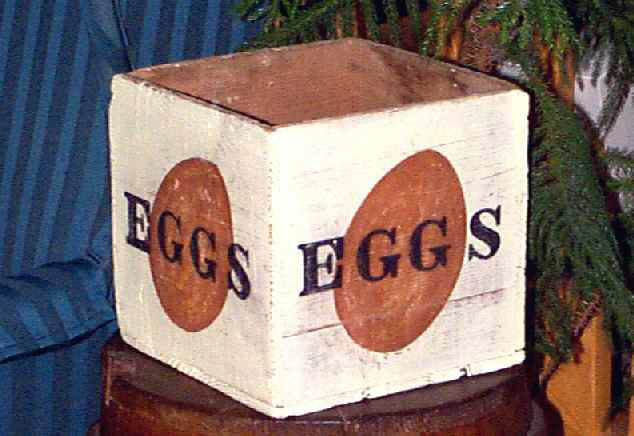 Country "Egg" Box, 10-1/4" square, decorated on all four sides. Dating from the first quarter of the 1900's, this is a wonderful accessory to a country kitchen with untold uses, or "just for fun". Size is 10-1/3" square.